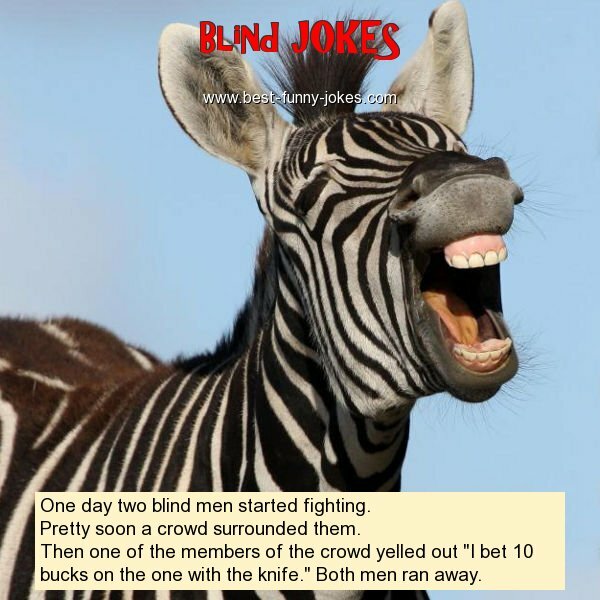 One day two blind men started fighting. Pretty soon a crowd surrounded them. Then one of the members of the crowd yelled out "I bet 10 bucks on the one with the knife." Both men ran away.